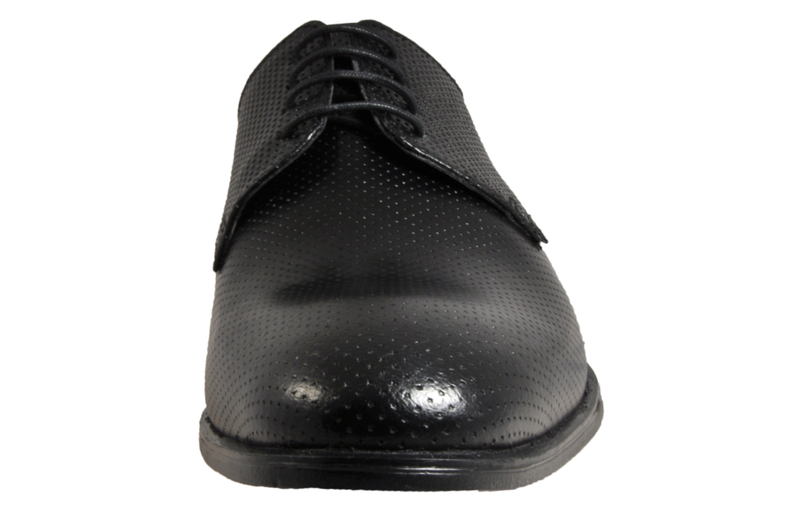 This premium quality Red Tape leather shoe carries a classic construction that oozes sophistication and designer quality. The Bromley has a traditional smooth and pepper pot punched leather upper with neat stitched detailing giving it stand out looks. 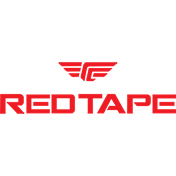 This Red Tape Bromley offers a complete clean look from heel to toe. 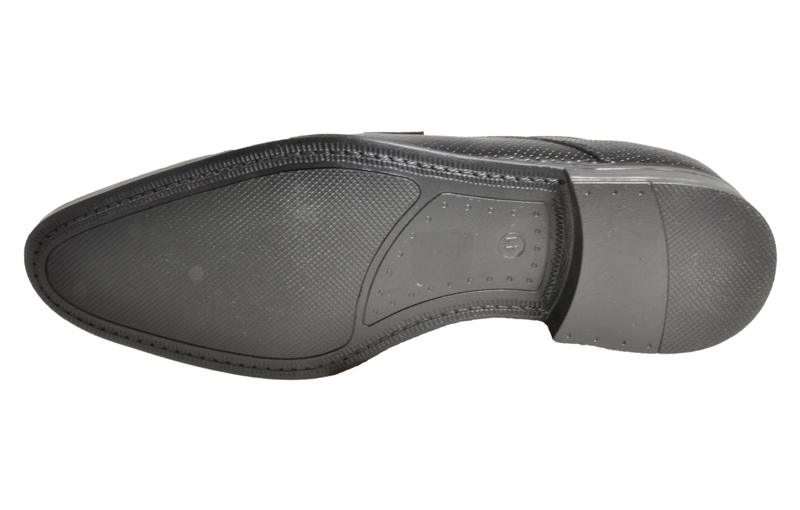 Finished in a soft black leather upper on a slim stitched sole this formal classic is ideal for all day wear and is guaranteed to take you from day through to night. Crafted from a premium leather, these classic lace-ups are given a contemporary twist with tonal stitch detailing throughout. 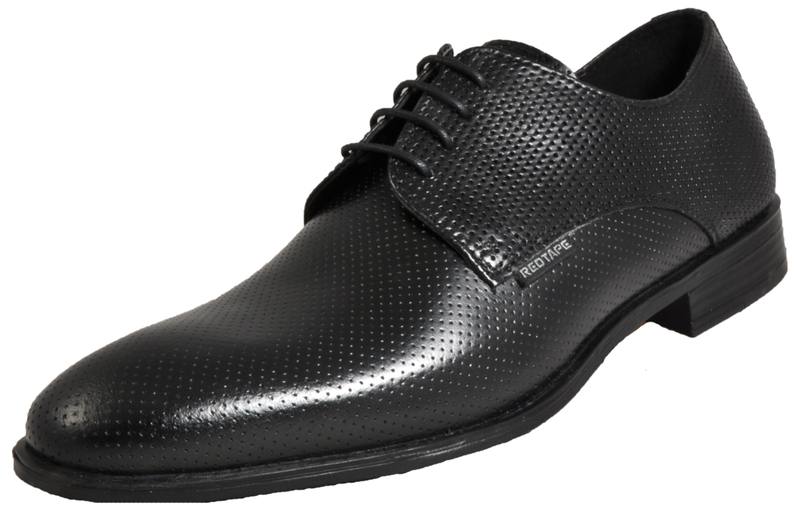 This high-quality leather shoe from Red Tape shouldn't be missed at this greatly reduced price. 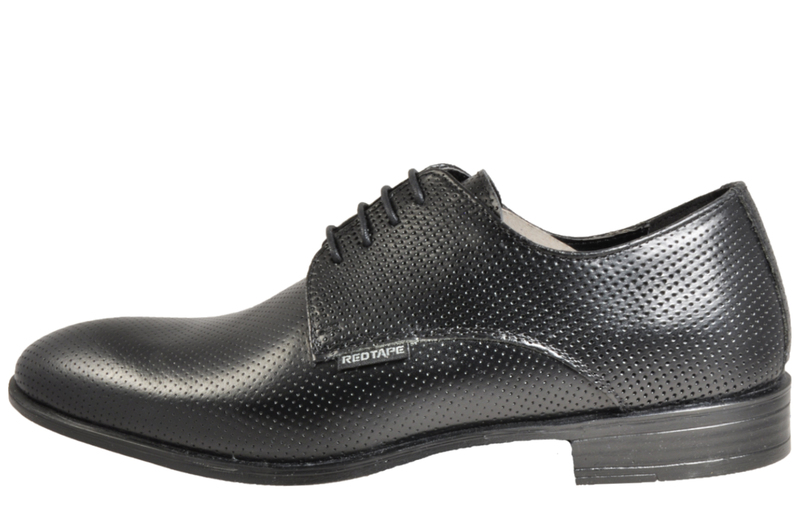 The slim sole and slightly stacked heel give this classic a truly smart look making it the perfect choice of footwear for work, casual and formal events.